Love finds us in the most unexpected situations and the most unexpected spots. And just when we stop looking for it, that's when we crash straight into the feeling called LOVE. Second love, third love or maybe the fourth love, none of it gets as much recognition and importance as the first love. But the chances are, when you fall in love the second or the third time, the bond you share with your partner is stronger and more real as compared to the first. I believe the people you meet after the first heartbreak are the ones who actually know the real you. They are the ones who break through the walls that you create after getting heart broken. They are the ones who put up with your cold heart and make you believe in second chances and love, once again. Second love is patient...because your partner understands that you’ll take some time to trust someone again, and they are willing to wait. 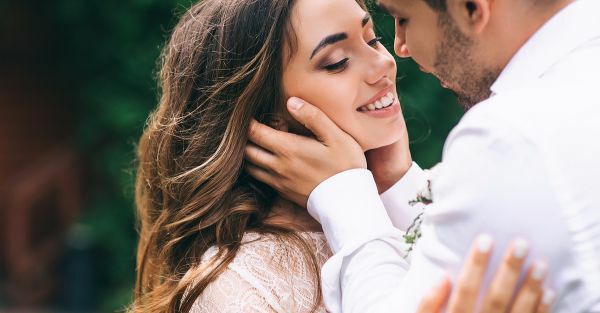 Also read: #MyStory: How My Long Distance Boyfriend Became My Husband But then, why do we always run after the old fairytale called "First love"? The reason, I believe is because we all grow up hearing so many romantic stories about how the first love is the ultimate love that never dies. Sure, one would always remember their first love but it cannot always be in a good way! Open your eyes and let go of your first heartbreak. It’s good to move on because better things will come your way only if you are willing to open your eyes and look around. When it comes to your second love, you are always cautious with everything. You protect yourself so as to not fall into the emotional roller coaster but in the end, they let your guard down, you get emotionally attached to them and somehow you end up falling in love once again. I cannot promise you that your second, third or fourth love would be your true love - it maybe or it may not be but the fun part is to keep going on the journey and find out. So here's to second, third or fourth chances that you give yourself to fall in love. Don't be scared to take the leap because remember, someone is there to catch you, all you have to do is take the plunge.